Hello friends. I hope you have a great night. I am back with yesterday's vlog. It was not my typical Monday at home..instead rather busy! 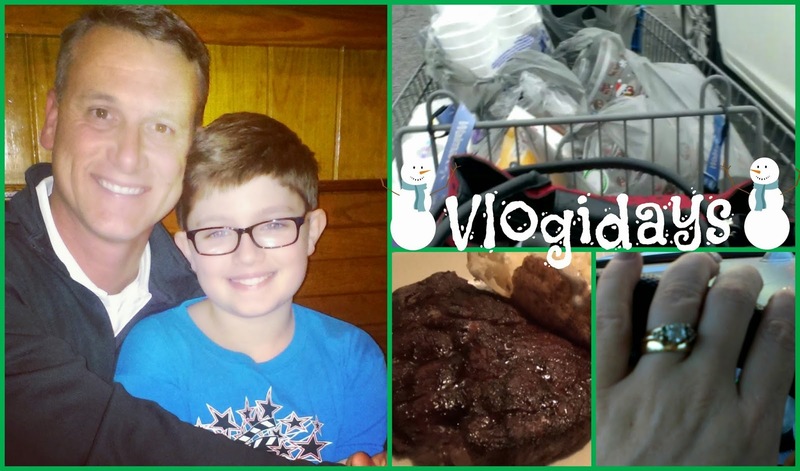 Hope you enjoy my Vlogidays Vlog for December 8, 2014. Vlogidays...where I vlog everyday from now until New Years. For over 6 months, I vlogged every day last year and while that was fun, I grew tired of sharing so much. From that point I just continued to vlog a little each week and combined them in a Week in Review. However, we are starting a new season, and Vlogidays are here! These videos were suppose to go up on my main vlogging channel but I have been having so much trouble with that channel that they are all going up on my main youtube channel. From now until the end of December, I will probably be posting double videos. There is no other way, except starting a new channel and I don't see the point in that. Most of my subscribers are on my main channel anyway so it only makes sense. Also these videos are going to go live a day after just to give me time to edit. Thanks for watching. I hope you had a great day. If you are looking for more vloggers to watch check out the comments on youtube because many are sharing their videos!